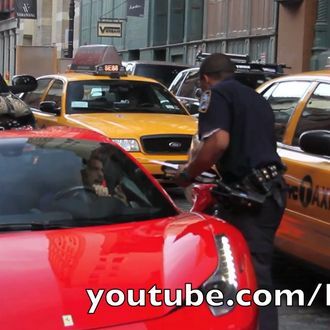 Remember when unbearable Ferrari-driving Internet entrepreneur Julien Chabbott kind of, a little bit, rolled his car into a cop’s foot? The cop, Felix Recio, is now planning to sue him for $10 million, according to the Post. Recio claims he was “left with a swollen foot and bruising.” Ten million dollars worth of swelling and bruising.